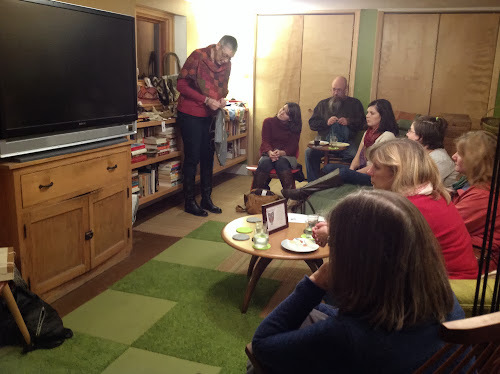 Last night I hosted a trunk show for my friend Barbara, she makes beautiful bags and totes out of fabric samples from books given to Architects and Interior Designers. These usually are thrown away and become another problem in the landfill. 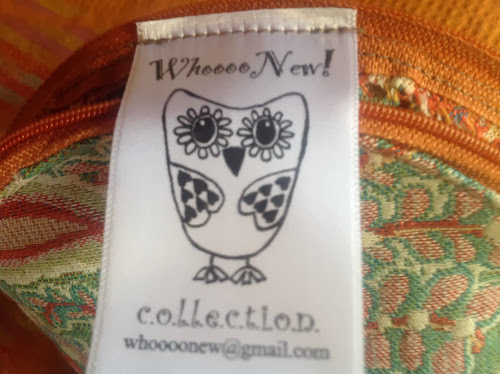 Barbara repurposes the fabric, even making use of the cardboard back for the bottom of bags, and the protective plastic fronts becoming clear small clutches to place inside your larger bag. These bags are so great! I love what I see of your new knitting/sewing room. Do you remember mom re-purposing these carpet samples from Mapes? Last weekend I attended the second Vogue Knitting Live in Chicago at the Palmer House. Last year I was overly enthusiastic and chose 2 1/2 days of classes, lesson learned. I attended the Skacel fashion show, where they were showing the entrants designs from The Fiber Factor, which I had never even known about, sort of like Project Runway for knitters. From my vantage point it was very difficult to get good photographs. Fun and inspiring nonetheless. Saturday afternoon my class was designing PI shawls with Brooke Nico. I was not aware of Brooke, nor her designs prior to this class, but I am truly a fan now. She is an amazing lace knitter and designer, in fact this shawl is on my queue to knit as soon as I can figure out the yarn I can use. These are the swatches for starting a PI shawl, the one with the appendage is called the belly button cast-on. 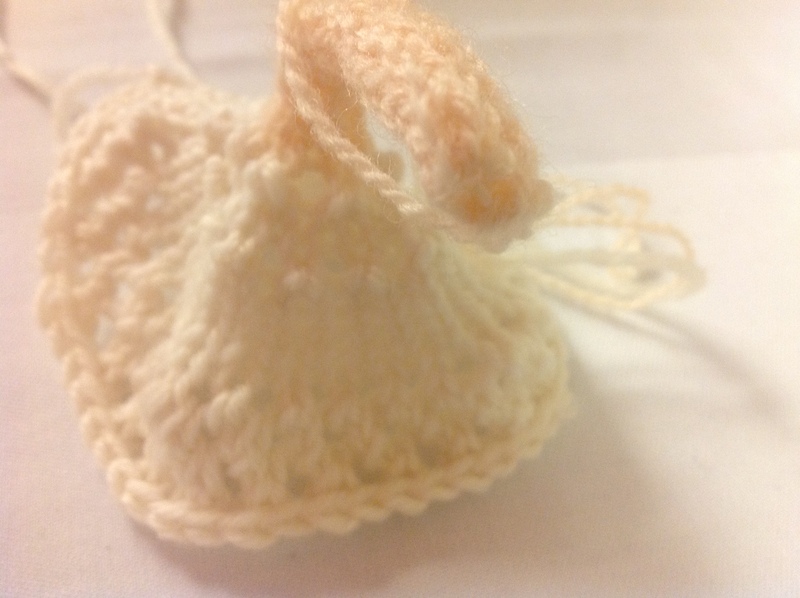 both make casting on a tiny number of stitches over several double points a thing of the past, you switch to DPN’s when you have enough stitches to easily manage, then close up the loop at the center. Ingenious. Sunday morning was a class with Julie Weisenberger on converting sweaters to seamless construction. She is an amazing teacher, and I wanted this class to cement the process for English tailoring that I took last year, in that class we made a small baby sweater which I recently found and need to finish knitting up. When I first arrived at the class, the utility doors nearby were open and a strong smell of diesel fuel permeated the hall. It was worse in the classroom, and joined by jack hammering from above. I went to the lobby where I found 2 managers from the hotel standing and lodged my complaint. Their response was that they would spray Fabreze to cover the odor. I told them that was not acceptable, and Julie returned to demand a new room. After some shuffling around, we got a nice space and resumed the class. 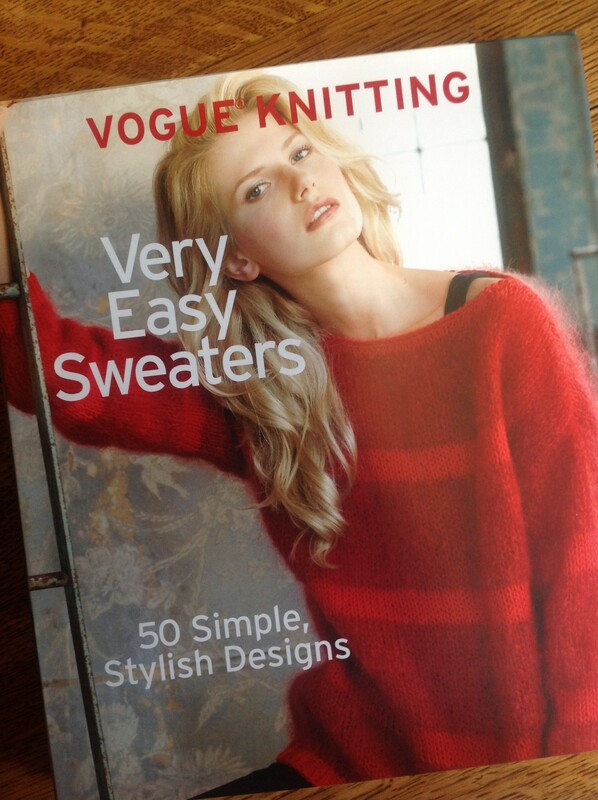 Vogue Knitting coordinators were great, and they brought us all a free book at the end of class, I chose this one. It has some great patterns that I think my daughter will like. Prior to the class on Saturday I walked the entire market, it was on 2 floors, but really not that big. This allowed me to preview the booths, and come home and think about what I really want (we all know that I NEED nothing). Then, during lunch on Sunday I was able to go back and purchase the following items. 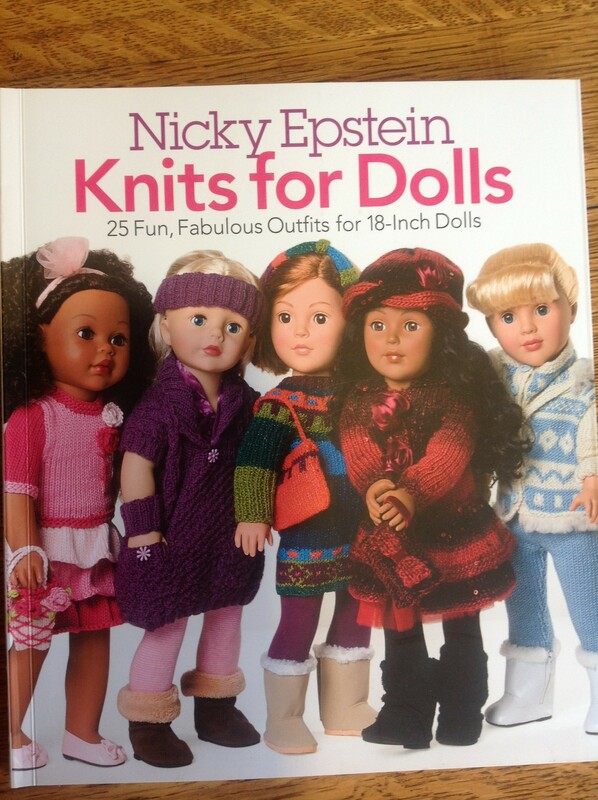 First, Nikki Epsteins adorable new book on knitting sweaters for 18″ dolls, purchased to knit for my cute niece Rebecca. 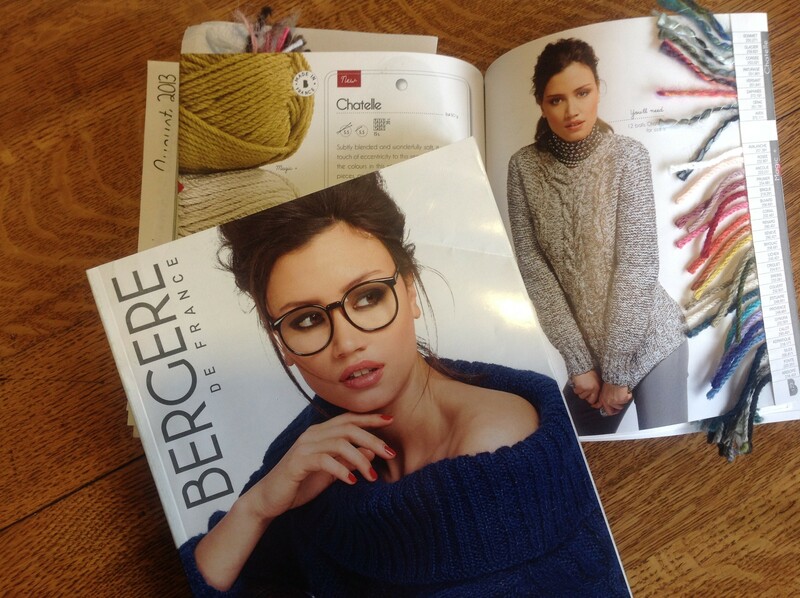 Berenger was giving out pamphlets with yarn samples, and selling the accompanying magazine. 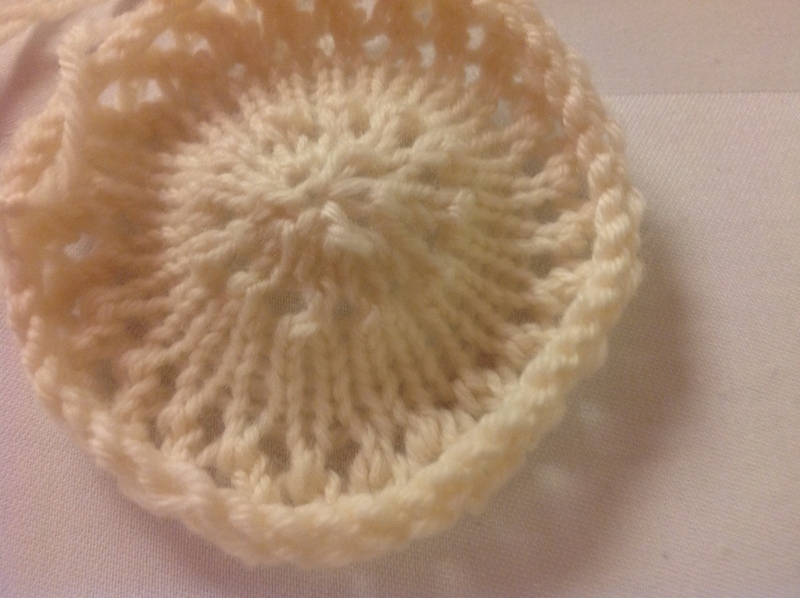 I looked at it on Saturday night and felt that there were several patterns that I would knit, and having a sample of the yarns that they used really allows for easier substitution. $15 seemed a bargain, even though the quality of the paper is very thin and cheap feeling. 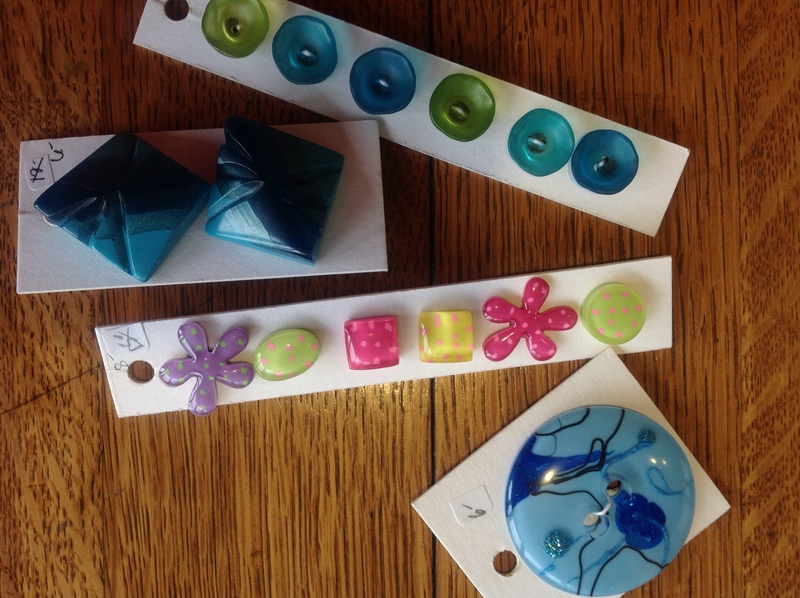 Lastly, these beautiful hand-made buttons. Amazing self-restraint was shown overall, and no real guilt. 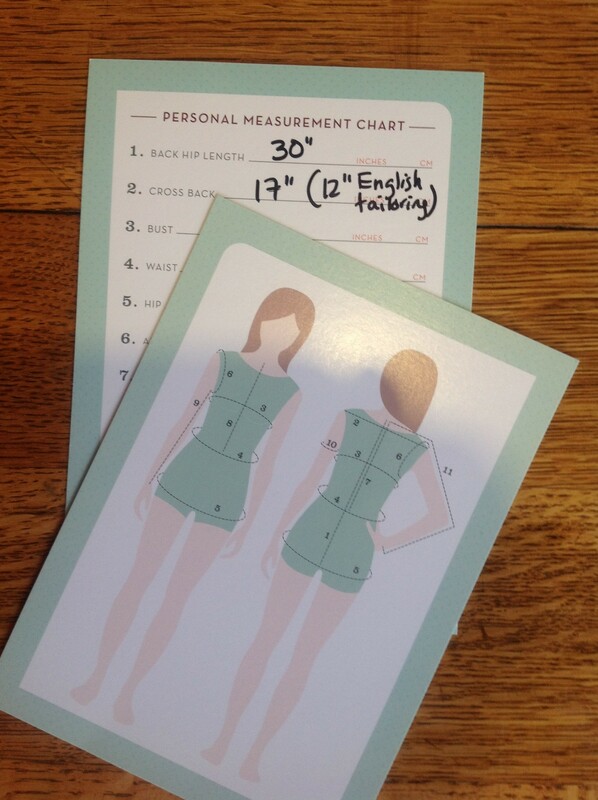 At the market, Vogue also had an editor who would measure you (behind a curtain), and give a card with all of the pertinent measurements needed for knitting a custom sweater. Very helpful, and there could be no better inspiration for diet and exercise!!! 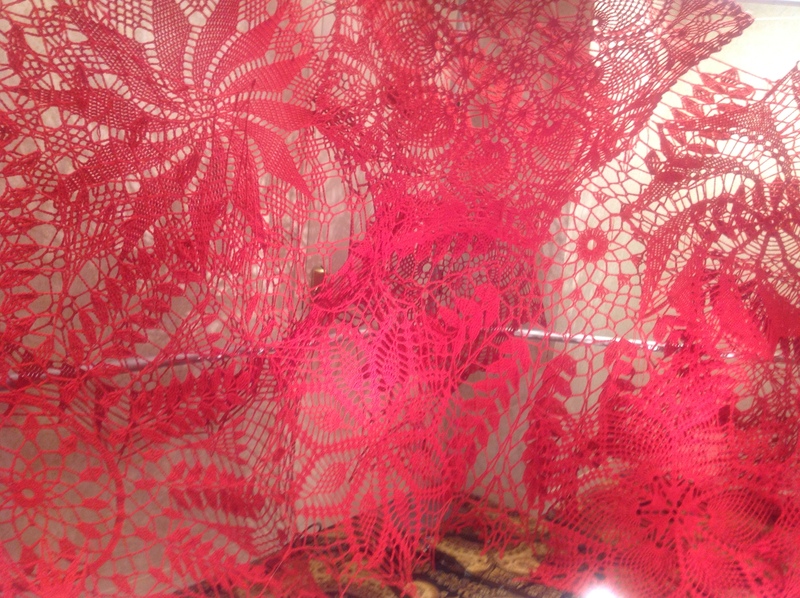 And I ended the day with Japanese lace patterns, again with Brooke Nico (I had not realized that I signed up for 2 classes both with her, it was just the title that intrigued me). 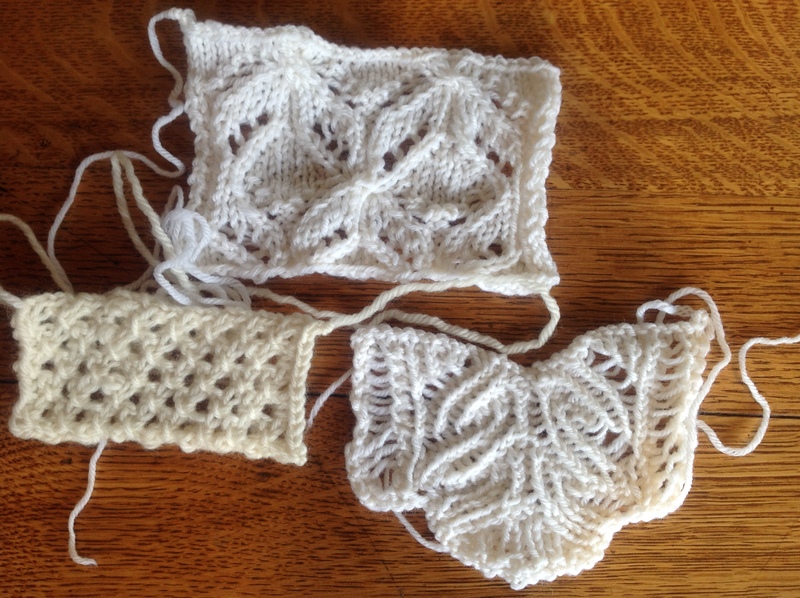 We worked on 3 lace designs, and have the instructions for 2 more. Class notes said to bring a worsted weight yarn, and I really wish that I had used a sock yarn, those that did had much better stitch definition than I. A very good weekend indeed! Sounds like a pretty full weekend with lots of great inspirations.